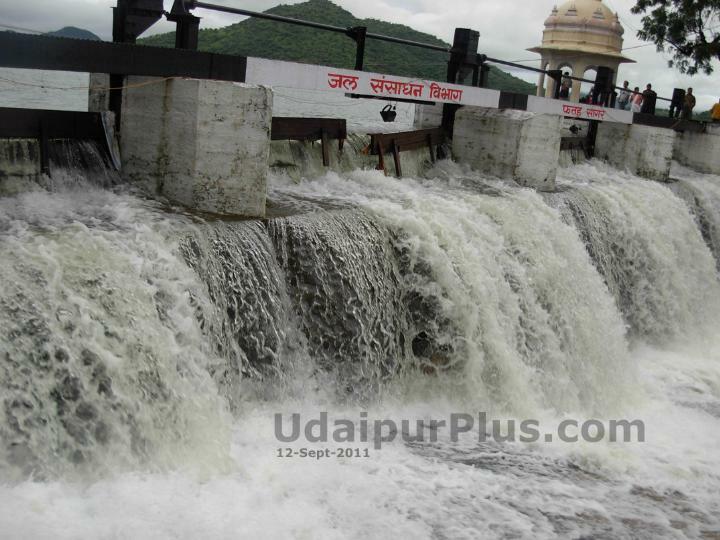 Fateh Sagar Lake overflow on 12-Sept-2011. Description: Fateh Sagar Lake said to be the pride of the City of Lakes of Udaipur, it is an artificial lake constructed by Maharana. There is festive mood at Fatehsagar whenever it overflows during monsoon.